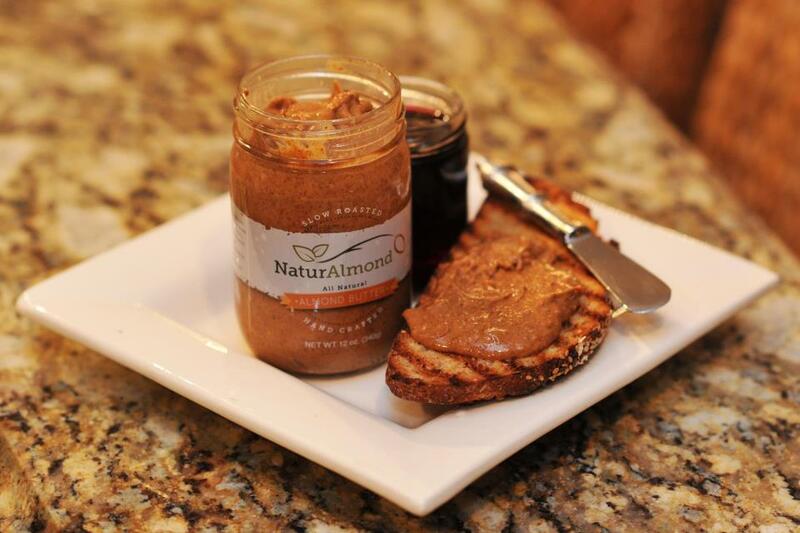 NaturAlmond Butter is an almond butter spread that contains exactly two ingredients: almonds and sea salt. Located in Chamblee, Georgia (just north of Atlanta), the company selects the finest California almonds and slow roasts the nuts in small batches to ensure quality, freshness and flavor. The almonds are then ground to a smooth consistency which releases the essential oils of the nuts. A touch of sea salt is added to enhance the flavor before being packaged in a 12-ounce jar in their peanut-free commercial kitchen. Jaime Foster, who started the company credits her grandfather, Jim Hinsdale who started making almond butter for his family back in the 1970’s as part of a plan to change his diet and eat healthier food. High in protein with no added sugars, NaturAlmond Butter is rich in monounsaturated fats, which are the types of fats that reduce levels of cholesterol. Nutritious but also sweet and luscious, NaturAlmond Butter is a great alternative to peanut butter and other sandwich spreads. Gluten and dairy free, NaturAlmond Butter is also a delicious choice for those on gluten-free, vegan, or vegetarian diets. NaturAlmond Butter is available through the company website listed below and through select grocery stores in the southeast (see the company website for a complete list of locations). Each 12-ounce jar is about $9. The company also makes almond flour (which is great to make cobblers and cookies) in a 2-pound bag for $16.